Keeping a clean workplace has many benefits, some of which you probably wouldn’t think of. While it’s great to be able to look around and see a tidy space, this also does a lot for employee health and happiness. It’s important not to task your employees with the job of cleaning your workplace. It’s not part of an employee job description unless, of course, they are in the cleaning industry. To eliminate harmful pathogens that may be lurking in the shadows, you really need a professional cleaning company on board. It is the only way to ensure your workplace has been cleaned from top to toe. From improving the air quality to reducing sick days, the perks of a clean workplace are hard to ignore. Let’s look at how it can benefit you and your employees. With summer behind us, the change of season can quickly bring in all kinds of bacteria we haven’t been exposed to over the last few months. This can wreak havoc on our immune systems, which is the reason illnesses are rife in autumn and winter. Although we can’t see bacteria, it’s there. One cough or sneeze can be the cause of a domino effect causing staff illnesses, taking them down one by one. Having a professional cleaning company come in at the end of every work day is your best preventative measure for keeping illness at bay. All surfaces will be cleaned with an antibacterial and dust removed from the workplace. Consider having your workplace cleaned thoroughly once a season to ensure it gets the full works from time to time. Don’t let your workplace become a breeding ground for ills and chills. Clean your workplace each day and keep the doctor away. We hard-working kiwis are known for our fantastic work ethic. So fantastic, in fact, that we will go to work even when we are sick. 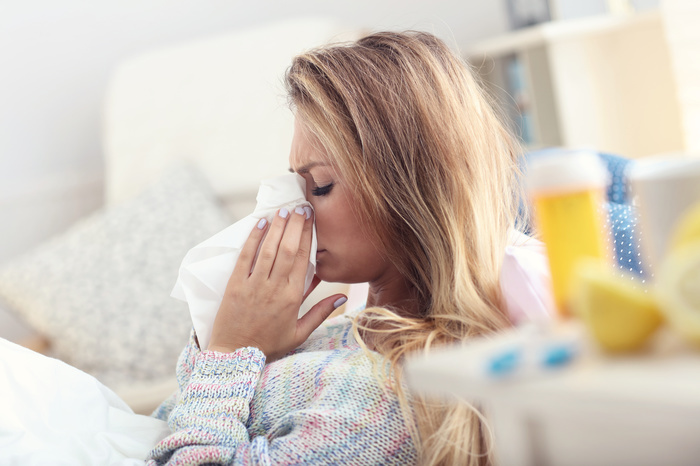 Encourage your employees to stay home if they are sick. Having them at work will only cause more headaches (literally!). But having time off can be stressful. Whether the reasons are financial or they’re concerned about falling behind, it’s not hard to see why many employees choose not to stay home. 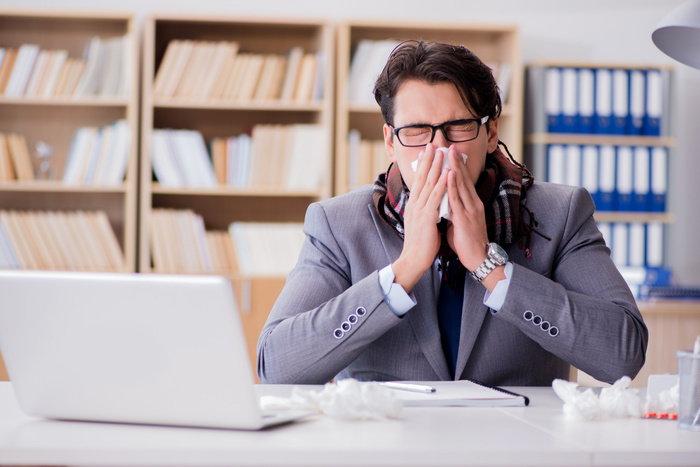 When an employee is regularly sick, their colleagues can also start to feel frustrated, especially if it means their workload increases for that time. Although no one asks to get sick, this is a natural reaction if others are starting to feel stressed from being down a staff member and having to take on extra work. It goes without saying that employees would much rather be healthy and keep on top of things. Feeling productive will also make them feel valued in the workplace. This will mean your employees will also feel happier and more motivated. We are all struck down by illness every now and then but being constantly unwell can make us miserable. By simply keeping a clean workplace and eliminating surface bacteria, you can drastically reduce the number of illnesses spread among your staff. From a business perspective, regular professional cleaning should be viewed as an investment. Less bugs means less illness. And less illness means less sick days among your employees. If your employees are constantly getting sick, it may be time to call in a cleaning service, or ramp it up if you already have one! Remember, you are still paying your staff when they are sick even though they are not on the job. 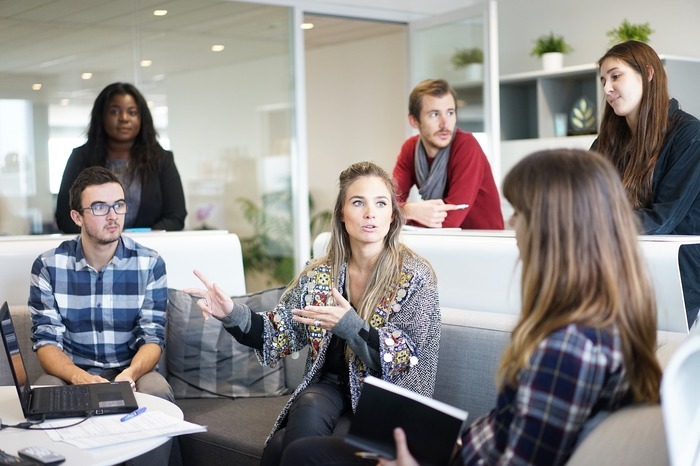 You want to reduce the possibility of several staff members being off at one time as this would greatly decrease your workplace productivity. All areas including staff rooms should be cleaned with care to ensure your staff stay happy and healthy throughout the year. 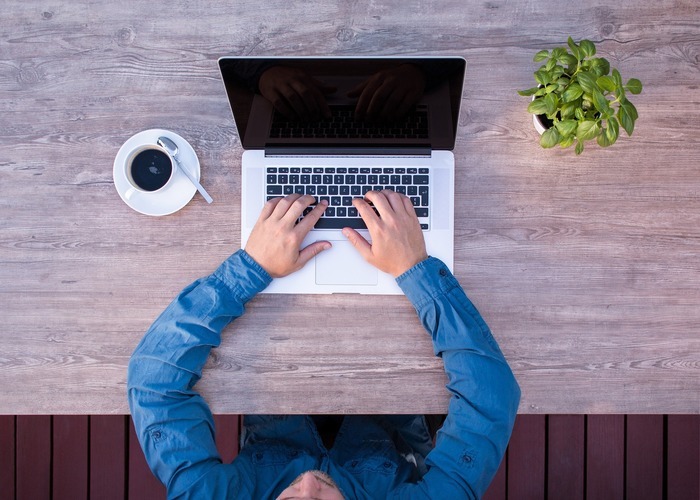 The value of a clean workplace extends a lot further than just its aesthetic quality. Look after your staff and yourself by eradicating nasty germs from your workplace. Here at Unique Services we take workplace hygiene very seriously. We understand which chemicals are best for any environment and offer industrial cleaning services for many different spaces. If you are looking to reduce the spread of germs in your workplace with an in-depth clean, call us today.